The following is from Dorothy B. Hughes’s novel, In a Lonely Place. Newly reissued by NYRB, this 1947 novel is a Los Angeles noir with a forward-looking, feminist twist and the inspiration behind Nicholas Ray's classic film of the same name. 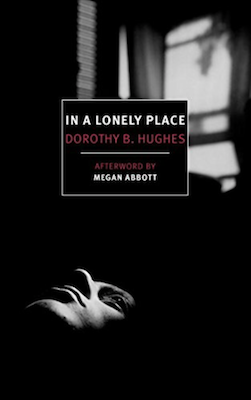 Dorothy B. Hughes (1904–1993) was the author of 13 novels and a poetry collection, as well as an award-winning crime fiction critic. Her final novel, The Expendable Man was published in 1963. He walked into the night not knowing the way, not caring. He’d moved more than once during his seven months in California. He could move again. It wasn’t easy to find quarters, the right ones for him. He liked the place he had now; he’d been lucky about it. A fellow he’d known years ago, in college. Years, aeons ago. He hadn’t cared for Mel Terriss then; he’d cared even less for him on running into him that night last July. Terriss was going to pouches; under his chin and eyes, in his belly. He had alcoholic eyes and they were smearing the blonde with Dix. He didn’t get an introduction. But he blatted waiting for it and Dix had found the flat he’d been waiting for. He was sick and tired of the second-rate hotel off Westlake Park. It smelled. Terriss was telling everyone about being off to Rio for a year, a fat job to go with his fat head. 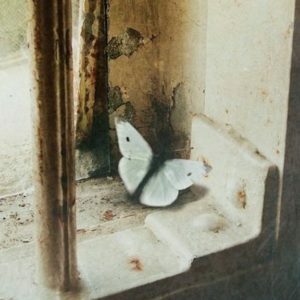 He could move again but he was damned if he would. He liked Beverly Hills; a pleasant neighborhood. A safe neighborhood. It was possible he could change his phone number, Terriss’ number. Get an unlisted one. He’d considered that before now. But Terriss’ number was as good as being unlisted. There was no Dix Steele in the book. Automatically he walked out of the small canyon, down to the beach road. He crossed to the oceanside; he could hear the crash of waves beyond the dark sands. He considered walking back along the waterfront but sand walking was difficult and he was all at once tired. He turned in the direction of the Incline. There was no bus, no taxi, and no car stopped for him. He walked on, in the street most of the way because there was no sidewalk, keeping close to the buildings because in the fog he was no more than a moving blur. He was damned if he’d move or even bother to change his number. He didn’t have to see Brub and his woman again. He’d proffered his excuse before it was needed. He was writing a book; he had no time for evenings like this, gab and beer. He walked on, quiet as the fog. It had been pleasant. It was the first pleasant evening he’d had in so long. So terribly long. He tried to remember how long. Those early days in England when he and Brub knew each other so well. He hardened his jaw and he trudged on towards the yellow ring of fog light on the pavement ahead. He watched the light, watched it come closer as he moved silently towards it. He shut out thought, clamping it between his set teeth. It wasn’t until he reached the light that he saw the Incline looming slantly across. And realized that the house into which the brown girl had disappeared lay just beyond. He stopped there, in the shadow of the clubhouse. The club’s parking lot, wire fenced, empty of cars, lay between him and the huddle of houses. The pounding of the sea recurred in changeless rhythm and he could smell the salt far beyond the wire fence. He had to walk up to the three houses; that was where the white lanes of the crosswalk lay on the highway. He smiled a little as he started forward. He was halfway past the fenced lot when the hideous noise of an oil truck, ignoring the stop sign, thundered past. A second one speeded after the first, and a third, blasting the quietness with thumping wheels, clanging chains. Spewing greasy smoke into the fog. He stood there trembling in anger until they passed. He was still trembling when he reached the huddle of houses, and when he saw what he saw his anger mounted. There was no way to know beyond which brown gate the brown girl had vanished. The gates of the first and second houses stood side by side. Abruptly he crossed the street and started up the Incline. He had been so certain she had entered the center house. And now he didn’t know. He’d have to watch again. He was to the midsection, to the hump of the walk, before he was calmed again. He stopped there and looked out over the stone railing. There was a small replica of the Palisades on this other side of the railing. And here, just over the rail, was a broken place in the wild shrubbery, even the pressure of a footpath down the cliff. A place where a man could wait at night. He smiled and was easy again. He walked on up the Incline, undisturbed when a car heading downwards splashed light on him. He wouldn’t move from Terriss’ flat. He was satisfied there. There was something amusing about Brub Nicolai being able to lay hands on him whenever he wished. Amusing and more exciting than anything that had happened in a long time. The hunter and the hunted arm in arm. The hunt sweetened by danger. At the top of the Incline he looked back down at the houses and the sand and the sea. But they were all helpless now, lost in the fog. He went on, not knowing how he would get back to Beverly, not caring. He was surprised crossing to Wilshire to see the lights of a bus approaching. He waited for it. It was the Wilshire–L.A. bus. After he boarded it, he saw by his watch that it was still early, a little past eleven o’clock. There were only two passengers, working men in working clothes. Dix sat in the front seat, his face turned to the window. Away from the dull lights of the interior. Others boarded the bus as it rumbled along Wilshire through Santa Monica, into Westwood. He didn’t turn his head to look at the others but he could see their reflections in the window pane. There was no one worth looking at. The fog thinned as the bus left Westwood and hurried through the dark lane framed by the woodland golf course. At Beverly you could see street corners again, as through a gray mesh. You could see the shop windows and the people on the streets. Only there were no people, the little city was as deserted as a small town. Dix kept his face pressed to the window. At Camden Drive he saw her. A girl, an unknown girl, standing alone, waiting alone there, by the bench which meant a crosstown bus would eventually come along. At night busses didn’t run often. Dix pulled the buzzer cord but he was too late for Camden. He got off at the next stop, two blocks away. He didn’t mind much. He crossed the boulevard and he was smiling with his lips as he started back. His stride was long; his steps were quiet. The phone was a jangle tearing sleep from a man’s face. It was the scream of bus brakes, the clanging chain of an ugly oil truck on a beach road, the whine of a spiraling bomb. Dix opened his cramped eyes. He didn’t know how long the phone had been ringing. It stopped when his eyes opened but as soon as he’d closed them again the fretful noise began anew. This time he didn’t open his eyes. With his outstretched hand he knocked the phone from its cradle, ending the sound. He buried his head in the pillow, grasped at waning sleep. He didn’t want to talk to anyone this early. He didn’t care who was on the other end of the phone. No one important. No one important had his number. His eyes reopened. He’d forgotten Brub Nicolai. He’d given Brub his phone number last night. For a solitary moment the coldness of fear gripped his entrails. As quickly the moment passed. He was without fear. But sleep had gone. He turned his head to look at the bedside clock. It wasn’t so early. Eleven thirty-five. He’d had almost eight hours’ sleep. He needed eight hours more. God knows he needed it. He’d fallen into bed in complete exhaustion. It took more than eight hours to refuel a body exhausted. But his curiosity could not let him return to sleep now. He shoved away the covers, and pulled on his bathrobe. He didn’t bother with his slippers. He walked barefoot through the living room to the front door, opened it and brought in the morning Times from his doorstep. His hands were eager but he closed the door before opening the paper. There was nothing unusual on the front page. The ways of civilization, international and national strife, wars and strikes, political propagandizing. Nothing he was expecting on the second page. That meant there’d be nothing. He thrust the paper under his arm. There’d been no reason to leave his bed. But now that he was up, he wanted coffee. He padded to the kitchen. Terriss had good stuff; he plugged in the electric percolator and opened the kitchen door to bring in the cream. The apartment was a corner one, easy for a man to keep to himself and to hold his affairs his own. No snoopy neighbors here. Most of them were connected with the studios; Terriss had told him that, told him with Terriss’ fathead pride. They kept themselves private too. While he was waiting for the coffee he began to read the paper. He drank three cups, finishing his reading. He left the spread paper and the coffee cup on the kitchen table. There was maid service; he made it a point to be out during that period. The maid was a shapeless sack with heavy feet. She came to this apartment between two and three in the afternoon. He didn’t know the maid’s name; he wouldn’t have recognized her on the street. He returned to the bedroom. There wouldn’t be time for good sleep before she came plodding in. If he were asleep, she wouldn’t do the bedroom and he didn’t like an unmade bed. He sat down on the edge of it, noticed the phone and replaced it in the cradle. He just sat there for minutes, not thinking, not seeing. Then he got up and went into the bathroom. His face in the mirror was the usual face, drawn from sleep, his hair rumpled. He’d feel better after a shower and a shave. He was taking his razor from the case when the phone rang. From In a Lonely Place. Used with permission of NYRB Classics. Copyright © 1947, 1975 by Dorothy B. Hughes.